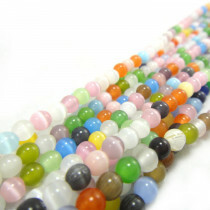 Multicolour Cats Eye Glass Beads Round 4mm (~100pce Strand) - 40cm/16'" Strand. 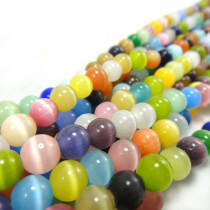 Multicolour Cats Eye Glass Beads Round 6mm (~66pce Strand) - 40cm/16'" Strand. 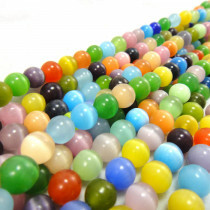 Multicolour Cats Eye Glass Beads Round 8mm (~50pce Strand) - 40cm/16'" Strand. 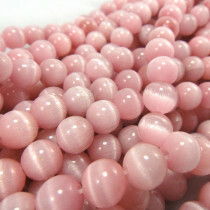 Pink Cats Eye Glass Beads Round 4mm (~100pce Strand) - 40cm/16'" Strand. 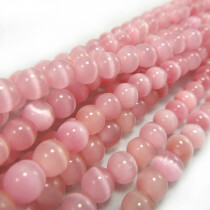 Pink Cats Eye Glass Beads Round 6mm (~66pce Strand) - 40cm/16'" Strand. 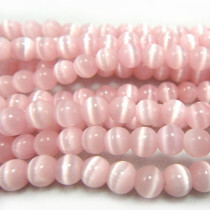 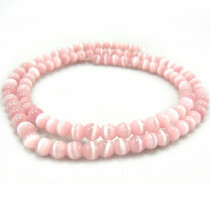 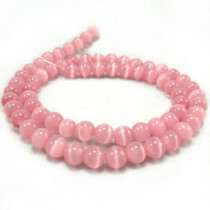 Pink Cats Eye Glass Beads Round 8mm (~50pce Strand) - 40cm/16'" Strand. 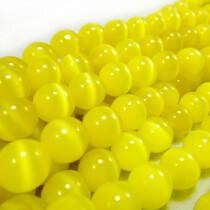 Yellow Cats Eye Glass Beads Round 4mm (~100pce Strand) - 40cm/16'" Strand. 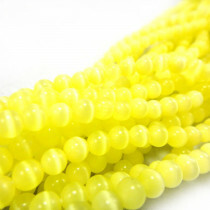 Yellow Cats Eye Glass Beads Round 6mm (~66pce Strand) - 40cm/16'" Strand. 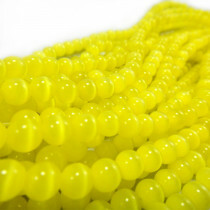 Yellow Cats Eye Glass Beads Round 8mm (~50pce Strand) - 40cm/16'" Strand.